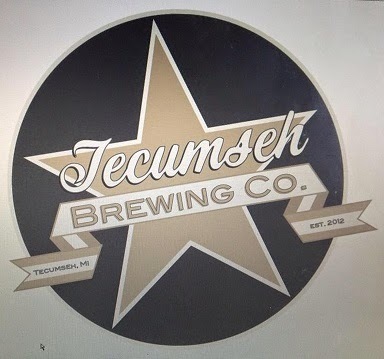 All the Brews Fit to Pint: Coming Soon: Tecumseh Brewing Co.
Coming Soon: Tecumseh Brewing Co.
Blue Tractor BBQ & Brewery bartender Kyle DeWitt and head brewer Tim Schmidt are seeking investors for their Tecumseh Brewing Co., to open later this year. 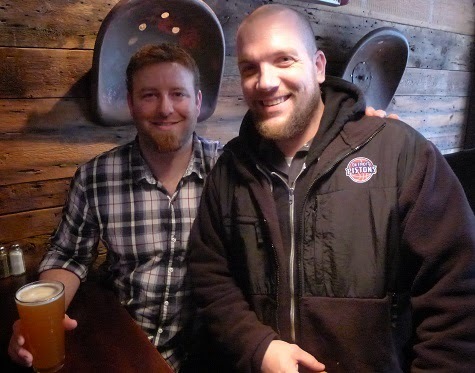 I recently sat down with Blue Tractor BBQ & Brewery bartender Kyle DeWitt who, with head brewer Tim Schmidt, is working on a plan to open a new brewery in downtown Tecumseh, where both have roots. 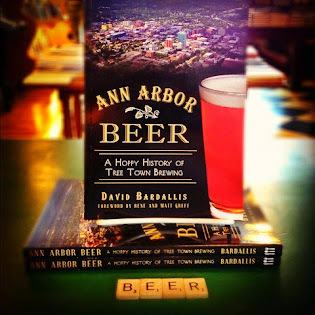 The brewery will be the only one in the town of about 8,500, which is 25 miles southwest of Ann Arbor in Lenawee County. We talked brewery crowdfunding, beer, and more. You've said the Tecumseh Brewing Co. is the first startup to take advantage of a recent change in Michigan law that allows for "crowdfunding," aka community investment, something that only four or five states currently allow. How is your crowdfunding platform, Localstake.com, different from, say, Kickstarter.com? Localstake is more like an E-Trade or Scottrade, but instead of stocks it's for local investing. And we are talking investment, not donations, so it's immediately different from Kickstarter that way. Instead of getting a hat or a shirt for your donation, you get a return on your investment. There are different ways to structure that, but the way we've set it up is we're doing revenue sharing. So 7% of our sales every month will get distributed to all the investors who signed up through Localstake until each one of them makes one-and-a-half times their investment. So if we crush it, in two years they'll be paid back; if it's more conservative like we're estimating, it may be more like five years. Included in each investment is a Mug Club membership, because we're obviously targeting more toward people in the local area, but crowdfunding is open to anyone in the state. We've had six investors so far [editor's note: as of April 4], and five of them are people we don't even know. So we believe this thing can work, but it's so new a lot of people don't quite understand it yet. The biggest thing we want to emphasize is it's not a donation. You're investing in a brewery and you'll make your money back and then some, really fast. Is there a cap on the number of investors? What are you looking to raise? There' no cap, but we're looking to raise $150,000 to $175,000. We've already generated $145,000 in investment from friends and family, which enabled us to purchase an old former restaurant building in downtown Tecumseh. With that collateral, we went to a community bank and after some back and forth got an agreement for a $200,000 loan contingent on this crowdfunding campaign going through. So we have a 90-day window from when we started in late March to fill a gap we need to fill, and if we're successful then that bank loan will kick in. What about investment levels? Do people need to have a lot of money to get involved? Well, we've set it up so there are tiers. We're looking for a minimum of $250 all the way up to $10,000. This way, people we know or work with, they can invest, too. Maybe they had a good week at work bartending or whatever and they can be a part of it. That's all for non-accredited investors, which is pretty much everyone — 97% of the population. By law you have to answer some questions about your income and things on Localstake, but it's really open to about anyone. You can have 1,000 investors if you want. All right, that's enough about investing. 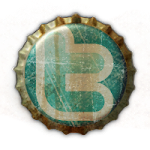 Let's talk beer. We're getting a brand-new three-barrel system. It's actually the same type of system as Original Gravity has, only shrunk down a bit to fit into our building. We're going to do two months of brewing, three batches a week, leading up to opening. We've already worked out a whole schedule with everything from Blonde Ale to Mango Serrano IPA to Peanut Butter Imperial Stout. We're gonna have 24 taps, and four will be sodas we make. We probably won't always have 20 beers going at once, except for when we open. It will most likely fluctuate between 12 and 16 on tap at any given time. This will allow us to have a base of six to eight beers and still have plenty of room to tinker and experiment with rotating brews. Tim and I have also decided we want to be the face of the brewery, so expect to see either or both of us behind the bar a lot. Tim's fiancee, Joanna, will be there a lot, too. She's managed here [Blue Tractor] and at Grizzly Peak, so she has a ton of experience as well. We're all going to be in front of everybody all the time. You're doing some tastings in the meantime with beer Tim's made here. Yes, we've scheduled two tasting events so far, April 18 and April 25, and they both filled up within 48 hours. We're planning on doing another two or three in May. We're hoping they'll be the catalyst to get people to come in and try Tim's beer, which as you know is awesome [editor's note: I can vouch], and see what we're all about. You're looking to get a microbrewery license, which means you can operate as just a tap room with no kitchen, as places like Wolverine and the brewery formerly known as Corner initially did. Do you plan on doing that, or will you offer food? We will have a kitchen off the bat. We plan on having about 10-15 menu items, primarily made from local ingredients. We're going to slice our own meats, slice our own cheeses. We don't want to serve anything processed, at least to the extent we can manage it. We'll have things like a sausage and cheese plate that rotates every week, a hummus plate, chips and salsa and guacamole that we make in house, sandwiches, quesadillas, salads, stuff like that. We'll have a chalkboard with different things each week. We've hired a cook who's worked all over the area and done everything from barbecue to fine dining to sandwiches. He's got a lot of experience, and he's creative. He's made beer ice cream, beer soups, beer breads — he gets it. Are you going to distribute your beer? We do plan to distribute. With a three-barrel system, we can't do a lot, but we'll be able to send out kegs to a handful of places. Around here, Casey's Tavern, where I've worked for years, is interested in putting us on. The Arena is interested, too. We feel like we're almost unintentionally following a similar path to Witch's Hat in South Lyon. They opened with a three-barrel system and built a following and now they're expanding. We hope to do the same. Our target is by October 1, which will be a tight squeeze. It will take up to three months to fabricate and take delivery of the brew system from the time we raise the funds to purchase it. So if we reach our goal and get everything done by early June, order the equipment, and brew for a couple months, we should be in good shape. The big happening in Tecumseh is the annual Appleumpkin Festival October 12-13, which is huge. We want to be up and running a week or two before that. We're as turnkey as it gets. We've secured the bank loan. We've bought the building. We've got years of experience. I've been bartending and bar managing for 12-13 years, and Joanna for about the same. Tim's been a head brewer for six years. We've done it; now we just need to do it for our ourselves. Everything's lined up and ready to go. We just need people to get on Localstake.com, check out the platform, and invest a minimum of $250 all the way up to $10,000. Everyone's going to get one-and-a-half times their investment. It's simple, but it's new so we hope people will get into it and see how easy it is. 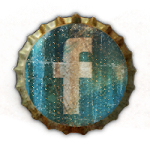 Find the Tecumseh Brewing Co. on Facebook and learn more about investing on Localstake.com.